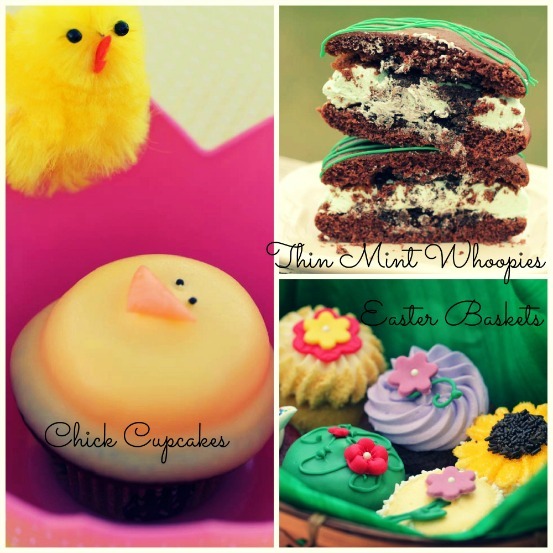 Let’s Make Whoopie and The Miss Cupcake have combined forces to create a fabulous assortment of Easter delights. 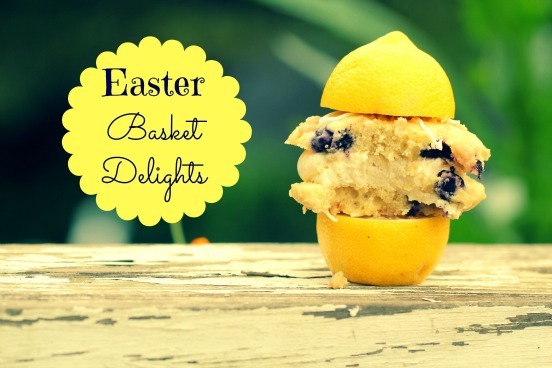 Cupcake Basket Easter Assortment: Enjoy the delights of Easter flavors with this basket full of 6 fun cupcakes! 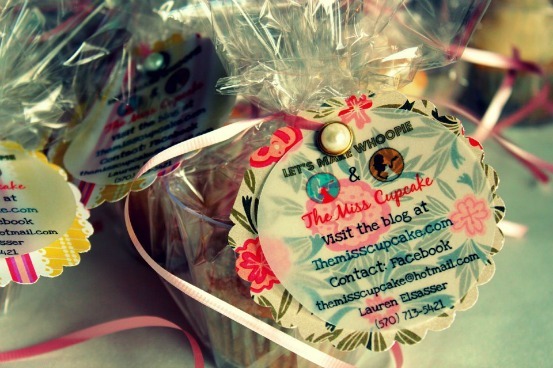 Easter chicks, bunnies, and bright flowery cupcakes are sure to delight your Easter sweet! Presented in a basket, wrapped in cello, and finished with ribbon. 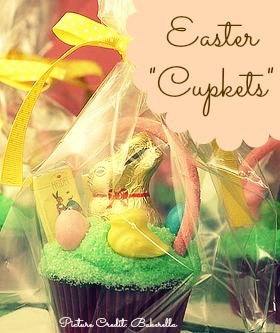 Easter Cupkets: This individually wrapped cupcake is disguised as a cupcake and adorned with typical Easter basket treats. Surprise your friends and family! Perfect for a small Easter surprise. Peanut Butter Egg: This chocolate fudge whoopie pie has a mini peanut butter egg baked right inside. Next, the shell is dipped in milk chocolate, filled with a creamy peanut butter center, and finished with a white chocolate twirl. Almond Joy: A chocolate fudge whoopie filled with coconut filling and dipped in a light dark chocolate coating. Finished with an almond cluster, this whoopie is better than its candy coated counterpart! Carrot Cake: This moist carrot cake whoopie, stuffed with nuts and raisins is sure to delight! Filled with cream cheese and finished with a candy carrot garnish. Lemon Blueberry Streusel: A blueberry streusel shell is the base for a silky lemon scented filling. 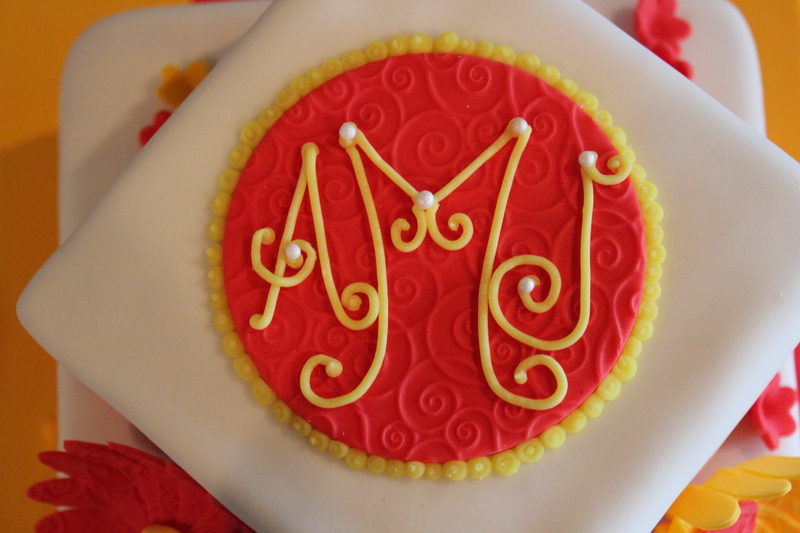 Lastly, it’s drizzled with a white chocolate swirl. Delivery is available for a small fee. Free delivery on order $90 and above within 25 mile radius. School and office delivery is available. Order soon! Before all of the sweetness runs out!